Ok, so we’ve got through January now, but that doesn’t mean that you have to give up on those resolutions of yours! Today I’m here to help out all of you who wanted to swim more – and what better way than with some tempting holidays. Take the plunge and go for it as a way to kickstart the new you, or use them as inspiration to get down to the pool. Whether you’re looking to take up swimming seriously for the first time, or just get back in the …er… saddle? costume? we’ve got ideas to suit you (groan)! If you’re more of a stand-at-the-edge and paddle kind of seaside visitor, then you definitely need an incentive to get yourself in further. Why not try a holiday to Hurghada or Sharm El Sheikh? The warm clear waters are ideal for getting in without that any of that screaming and shocking cold that the UK is known for! Plus, once you’re under you’ve got a great chance of seeing some beautiful underwater creatures. 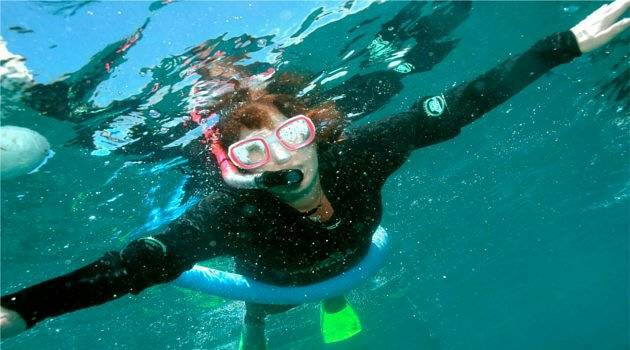 Get started with a snorkel and flippers, and before you know it you might be heading off on a scuba adventure. Island hopping with a difference, it’s you who provides the transport between islands, swimming in a group as you make the tour. The Greek Cyclades around Naxos are a popular choice for this, with warm calm waters and easy swims. If you prefer something a little more exotic though, you could always try the British Virgin Islands, with stunning scenery both above and below the water line. If you don’t mind the slightly colder temperatures of the waters around the UK what about the Scilly Isles or even the Inner Hebrides – wetsuit very much advised! Perhaps not for complete beginners, there are also some amazing swimming sightseeing challenges you can partake in. 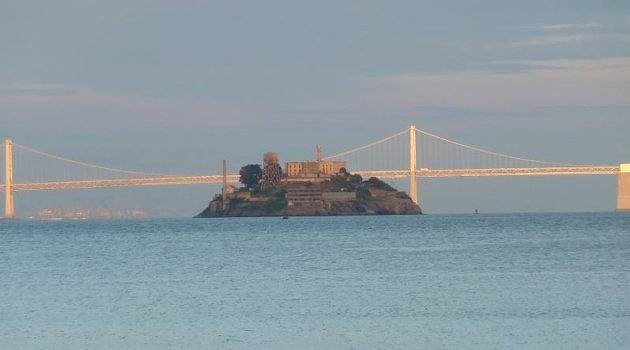 How does swimming to Alcatraz sound? Well, apart from sounding to me like that’s the wrong direction, imagine the amazing sights you’ll see along the way, and the stories you’ll have to tell. 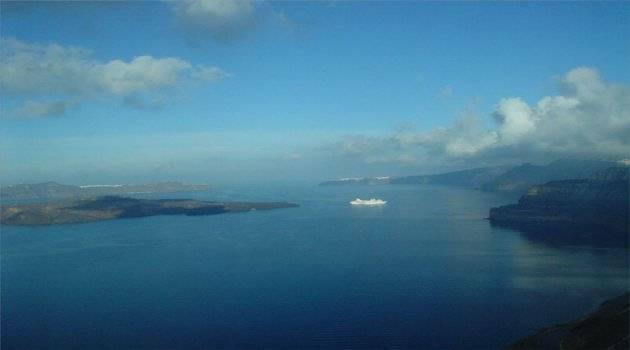 Or swim from Europe to Asia – or across the Dardanelles to be precise. It’s the Turkish waterway that separates Europe from Asia and a very busy shipping route, apart from the one day a year it’s closed for this popular swim. Places are limited though so book early! Closer to home there are regular excursions to Burgh Island, just off the Devon coast. It’s a great way to challenge yourself on a budget and get a taste for open water swims. ← NY Resolutions #4: Get on Your Bike!